Every year, espically during the spring and summer, many wild animal babies are unnecessarily "saved" by well meaning kids. The most commonly "rescued" animals are baby birds and deer fawns. Unfortunately most "rescues" are not necessary and more often than not harmful to the animal. State officials urge children to avoid contact with all young wildlife, even if the animal appears to be injured or orphaned. This includes picking up, handling, and relocating young wildlife, especially newborn birds, deer fawns, moose calves and bear cubs and remember that wildlife can be a dangerous. There is a potential for injury from a mother who will attack, if she is nearby and feels her baby is being threatened or from the animal who will try to defend themselves if they feel they are being threatened. If you have found an injured or frightened animal please don't pick it up. 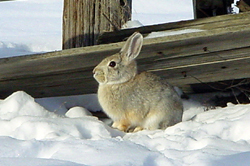 There are many types of wildlife in Montana and during the spring many new animals are born. Often what appears to be an abandoned or orphaned animal is simply a baby whose mother has left -- sometimes for hours at a time -- to search for food. Remember just because you don't see the mother doesn't mean the baby is abandoned, often the mom is close and keeping a watchful eye on her young. Your presence might have scared her off. Do not move or touch the animal. 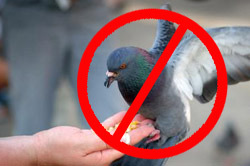 Unnecessary handling of animals or contact with human odors should be avoided (soap, perfume). Such odors may discourage the parent from accepting the baby back especially if it has been kept from the parent or nest too long. Also, because young animals can mistakenly think pets or people are their parents. They may lose their natural fear and become more vulnerable to humans and pets. These animals are referred to as "human imprints," and may doom the animal in question to life in captivity or call for them to be put down. Injured wildlife may carry dangerous diseases such as rabies or hantavirus. If an animal shows little fear of humans something may be wrong. Stress is the biggest threat to animals in captivity. Try not to frighten animal. Keep pets and young children away. Because of the danger of spreading disease any suspected orphan should be kept away from your pets and little brothers and sisters. Do not feed or water. If you find yourself temporarily caring for a wild animal in need of help, the best thing you can do for that animal is to keep it "warm, dark and quiet." You should not attempt to give it food or water unless directed to do so by someone qualified to determine the animal's condition. Young animals and birds can get fluid in their lungs and drown if you don't know the proper techniques for giving them water. Never give cows' milk, as it will make most wild orphans sick and dehydrated. Likewise, birds of prey will sicken and die if fed a diet of hamburger or hot dogs. Baby songbirds need a protein diet and cannot digest bread. Do not try to treat or raise the animal yourself. Contact Fish Wildlife and Parks or a licensed wildlife rehabilitator immediately. Did you know…? State and federal wildlife laws protect wild animals. It is illegal to have a wild animal in your possession, even if you are trying to care for it. It is illegal, unsafe, and unwise to try to keep a wild animal as a pet. To avoid breaking the law and being subject to fines or other punishment and to offer the animal the best chance for survival, if you find an injured or orphaned animal call Fish, Wildlife, and Parks immediately. Remember even if an animal is successfully raised by or near humans it often cannot be released back into the wilderness as it will have weak survival skills and become easy prey. 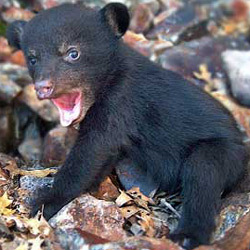 In the case of bears, the animals will become used to humans thus posing a risk to human safety.